The Air Force’s X-37B Orbital Test Vehicle mission 4 lands at NASA ‘s Kennedy Space Center Shuttle Landing Facility, Fla., May 7, 2017. Managed by the Air Force Rapid Capabilities Office, the X-37B program is the newest and most advanced re-entry spacecraft that performs risk reduction, experimentation and concept of operations development for reusable space vehicle technologies. 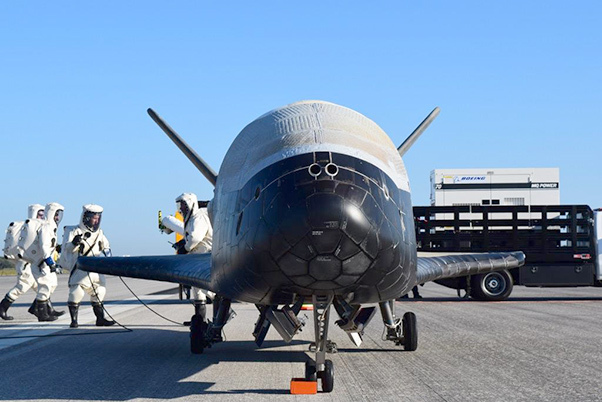 The X-37B Orbital Test Vehicle mission 4 (OTV-4), the Air Force’s unmanned, reusable space plane, landed at NASA’s Kennedy Space Center Shuttle Landing Facility May 7, 2017. The Air Force’s X-37B Orbital Test Vehicle mission 4 lands at NASA ‘s Kennedy Space Center Shuttle Landing Facility, Fla., May 7, 2017. 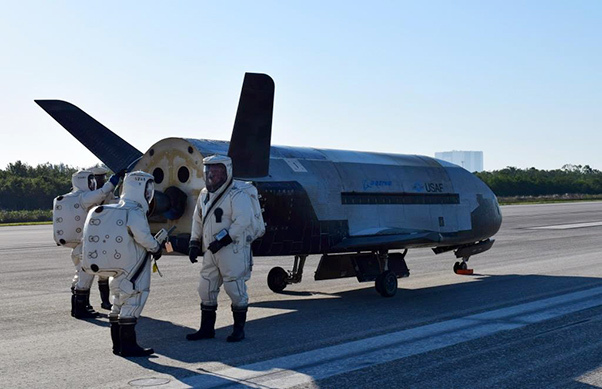 “The hard work of the X-37B OTV team and the 45th Space Wing successfully demonstrated the flexibility and resolve necessary to continue the nation’s advancement in space,” said Randy Walden, the director of the Air Force Rapid Capabilities Office. The Air Force is preparing to launch the fifth X-37B mission from Cape Canaveral Air Force Station, Fla., later in 2017.